The immune cells that are trained to fight off the body's invaders can become defective. It's what allows cancer to develop. So most research has targeted these co-called effector T-cells. But a new study takes a step back and considers: What if the problem isn't with the effector T-cells but starts higher up the cellular chain? And so researchers looked at naïve T-cells - a type of immune cell that hasn't yet been triggered to fight. Naïve T-cells differentiate into the fighter effector T-cells. "People didn't realize the problem may not only be directly from the effector cells themselves, but may also stem from a defect in the naïve cells. We found naïve cells already have a problem in patients who have cancer. 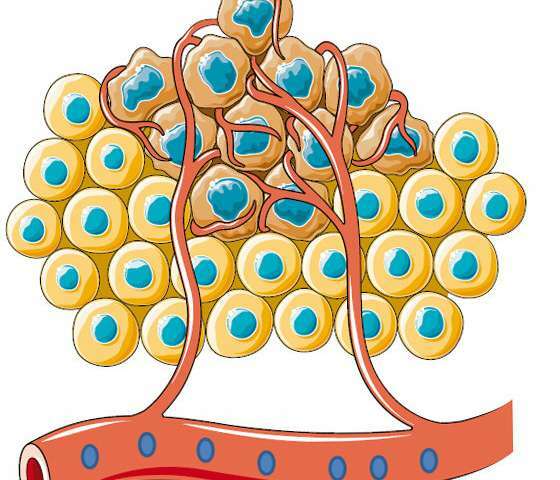 If the naïve cells are functionally impaired, the effector cells cannot be healthy," says study author Weiping Zou, M.D., Ph.D., the Charles B. de Nancrede Professor of Surgery, Pathology, Immunology and Biology at the University of Michigan. Naïve T-cells are not well understood in cancer, in part because the effector T-cells have direct control over tumor immunity. So that's where researchers have focused their attention. Also, naïve T-cells are rare in the tumor microenvironment - the traditional battlefield between cancer and immune cells. The new study, published in Science Immunology, finds that tumor metabolism impacts naïve T-cells. The tumor cells use a lot of glucose. When the glucose is metabolized, it produces lactate - and lactate turns out to be very bad for naïve T-cells. Once the tumor produces a certain level of lactate, it causes damage to the naïve T-cells, including cell death. Currently, efforts to predict response to cancer immunotherapy focus on memory and effector T-cells. The new research suggests another path. "Yes, you do see problems in effector T-cells, but you have to keep in mind that to begin with, the naïve T-cells are functionally impaired by the tumor metabolism," Zou says. Researchers will look for ways to manipulate the metabolism to try to recover the function of the naïve T-cells in the hopes that it can make immunotherapy more effective. Some early phase clinical trials are testing a way to target the lactate pathway. Researchers hope this could provide a rationale for combining immunotherapy with a therapy to regulate metabolism. "When you have more healthy naïve T-cells to begin with, hopefully you will get more healthy effector T-cells, which will overcome some of the resistance we see with immunotherapy," Zou says.